One of the perks of being one of the Fitness First blogger ambassadors is entitlement to 10 sessions with a PT (Personal Trainer) from my home gym. During the launching of the #FFLetsGetPersonal, I had a taste of training with the PTs but having it regularly for a few weeks was a different experience. Fitness First had came up with a website to put personal training and its members closer together so finding a more suitable PT for you is easier. More information about it can be found in this post or visit the PT website yourself. I tried the website myself and the PT I chose in the site contacted me weeks later for a free session. The PT who was assigned to me was chosen the old fashioned method, it means they were chosen by the bosses of the branch. I was assigned to Peter Pable. He was also the same person who showed CJ and me FF RSC Makati the first time we signed up for membership so I recognized him when we scheduled the first session. The first session was all about getting know what my goals are and where my fitness level is. We first took my measurements of body weight and body fat percentages with the Tanita machine. After which, he asked me to do a series of exercises to test out different aspects of fitness. One of the goals that I expressed to Peter was I wanted to have a stronger upper body so most of our workouts would include upper body movements. Some exercises include bicep curls, skull crushers, dips and others. Midway to our 10 session schedule, we had another assessment where I got negative results because I apparently cannot drink alcohol and do cardio before an assessment. But Peter still tried to improve my results by making me do a lot of total body circuits with upper body movement. Sometimes, our sessions would exceed 1 hour but it won't be a problem. After almost 2 months of work with Peter, I was able to increase my fitness score from 16 to 17. Included in that progress was increasing my distance with the treadmill, adding reps in my push ups and increasing seconds to my planks and star pose. In terms of weight, I lost almost 2 kilograms and 1% body fat. 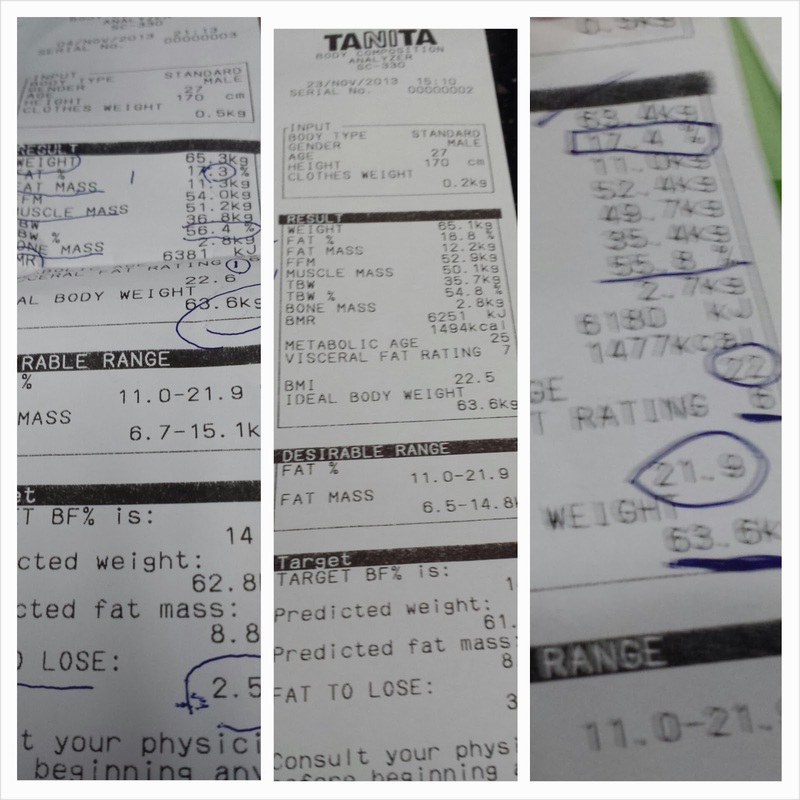 Lastly, my metabolic age decreased from 25 to 22. Since we were doing different upper body movements, I have no way to measure my progress but I have been feeling stronger. I would recommend availing of a personal trainers to people who are new to fitness, intermediate fitness enthusiasts who would like to get rid of their training plateaus or everyone who has a specific fitness goal. People who don't have an idea on where they wanna go or what they want to happen would just be wasting their money. But if you know what you want, you need a personal trainer to get you there. 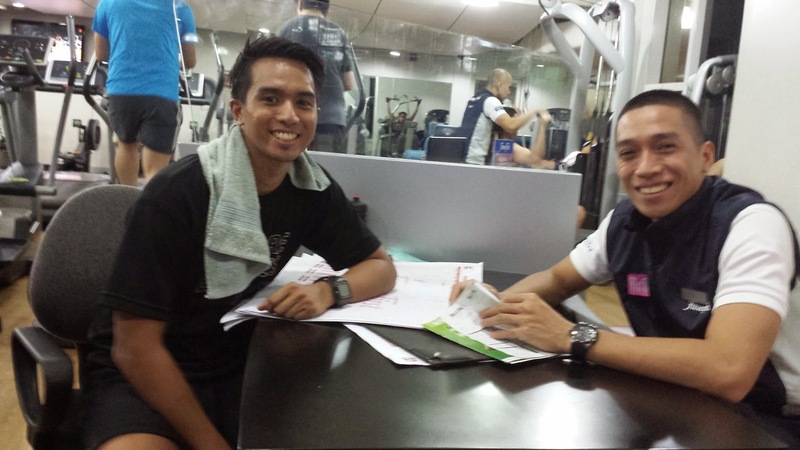 Check out asking for Peter's services in Fitness First RSC-Makati. He'll make sure you will be working hard while supporting you in every step. He won't be a drill sergeant but someone helping you towards your goals. Personally, I considered this type of training early last year (2013) as I wanted to progress more and circuit training was starting to get boring. But the universe decided to introduce crossfit to me and I chose to stick with it. My stay with Fitness First would mostly be for group exercises (GX). 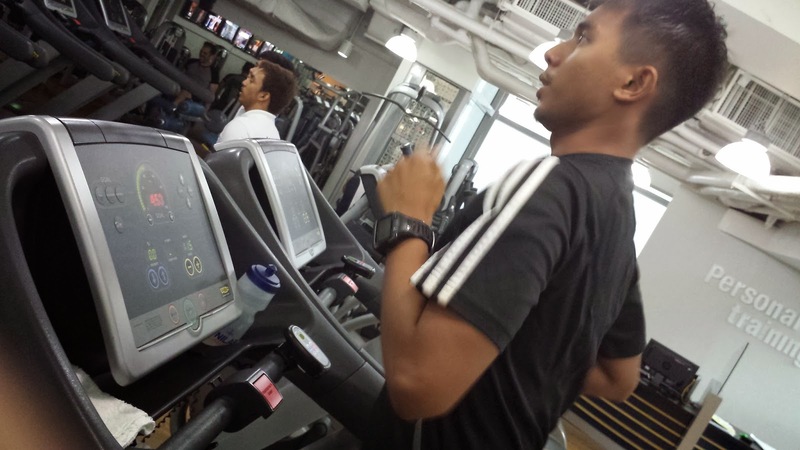 For those who want in Fitness First, you need to decide on your goals and seek the guidance of a personal trainer. It will be worth the investment!